Meira Academy empowers young Jewish Women through an education devoted to academic excellence in both Judaic Studies and General Studies. We support our students in all aspects of their personal growth-- intellectual, spiritual, social, and creative--and guide them towards a bright future in the Jewish community. 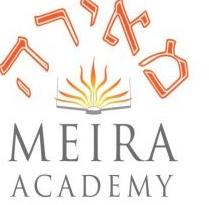 Meira Academy is a private Orthodox Jewish high school for girls located in Palo Alto, California. The school name is Hebrew and translates to “Shine;” the name reflects one of the main foci of the single gender education program at the school: helping students become leaders who shine in their community as they develop as lifelong learners. Meira Academy is highly unique; it provides a full Jewish day school curriculum alongside a demanding general studies program. As a result of this dual curriculum, the Meira Academy day runs from 8:00-4:40pm, Monday and Thursday, 8-4pm Tuesday and Wednesday, and 8-1:20pm on Fridays. The school day includes Tefillah (prayer time) and one other scheduled prayer break in addition to instructional time. Clubs, extracurriculars, and a homework clinic run by the “madrichot” (Junior teachers) are held after-school. These activities are optional. ​Meira Academy plays a special role in serving families in the Pacific Northwest. Orthodox Jewish families predominantly send their children to single gender high schools that focus on Hebrew language and Judaic studies. Prior to the opening of Meira Academy, no local school served this purpose. Orthodox families of the Bay Area previously sent their daughters to Orthodox schools as far away as Los Angeles, Denver, New York, or New Jersey. Meira Academy bridges the geographical gap in the Pacific Northwest; it also provides students the opportunity to complete comprehensive Judaic studies coursework alongside a rigorous general studies curriculum.